The Brickworks at Bulli | Duplex in Bulli - Wollongong region Village Building Co.
For all First Home Owners, Investors, Owner Occupiers. The Brickworks is a 12-hectare development nestled under the Illawarra escarpment, just west of Bulli township. It is within easy walking distance of Bulli's schools, shops and railway station, and 15 minutes walk to the beach. 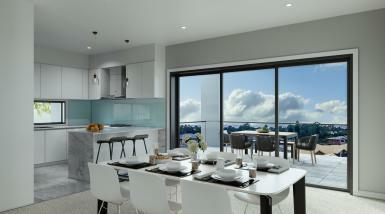 The Brickworks is one of the most exciting residential developments in the Wollongong region. Inspired by its natural surroundings and commanding spectacular views to the Pacific Ocean, The Brickworks offers the perfect lifestyle in one very sought after location. Whether you begin the day with a brisk morning walk along Bulli Beach taking in the sunrise, or you grab your rod and tackle box to land something for dinner, or perhaps you’d like to use a little more energy and ride your bike along the 15km Thirroul to Wollongong (approx 50mins)cycleway, The Brickworks at Bulli is truly connected to life. Adjacent to hectares of parkland and with an abundance of open space, beautiful vistas, modern conveniences, transport links and an array of fabulous local escapes closeby, The Brickworks is perfectly positioned for an exceptional lifestyle. This torrens title (no strata) duplex is the last lot we are offering in The Brickworks so be quick! Estimated completion (Jan 2019). There’s plenty to keep you out and active at The Brickworks and surrounds. Cycle into Wollongong using the Thirroul to Wollongong cycleway whilst enjoying the beautiful coastline. If organised activities are your preference, there’s a variety of local sporting organisations and teams offering netball, cricket, tennis, soccer, rugby and swimming. The magnificent beaches of Wollongong are on your doorstep whilst Russell Vale Golf course is just a few minutes’ drive to the South. Experience the latest urban trends in Bulli and nearby Thirroul. Whether it’s a quick trip for groceries or a serious shopping spree at Wollongong Central, you have a choice of conveniently located facilities just minutes away in Bulli and Wollongong, or take an easy trip into the Sydney CBD. When it comes to tantalising your tastebuds, try the new local foragers and fresh produce market or the Bulli Heritage Hotel. A range of education providers in Bulli and the surrounding area provide lifelong learning opportunities from childcare services, a public or independent primary or secondary school, or tertiary facilities such as Wollongong University and Wollongong TAFE, residents at The Brickworks will have choice when it comes to education and learning. Our newly completed duplex at popular The Brickworks at Bulli is open for inspection this weekend with our property partners Belle Property. Call in and see Jeremy or Lashay on Saturday between 1.45pm and 2.15pm. 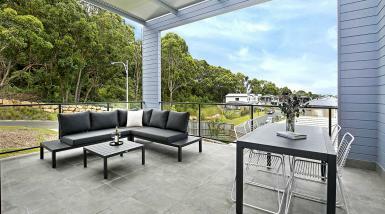 Sit back and relax in your brand new low maintenance, torrens title duplex home (no strata!). 4 bedrooms with ocean and bushland views. Take a walk through the 4 bedroom with our videos. 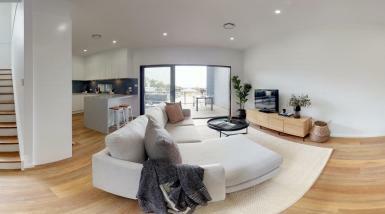 Construction is nearly complete on our duplex homes at the ever popular Brickworks at Bulli. Choose from a 3 bedroom with two ensuites and a study area or a 4 bedroom with ensuite. Visit Brickworks development here to find out more.